A chronic stuffy nose, trouble breathing, or recurring headaches could indicate you have sinusitis. 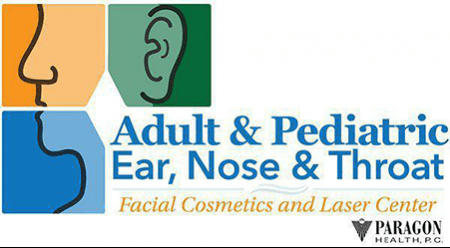 At Adult & Pediatric Ear, Nose & Throat in Kalamazoo, Michigan, adults and children can find relief from this uncomfortable condition that causes inflammation and swelling of the sinuses. Book an appointment today and receive care from Michigan’s best expert ear, nose, and throat physicians. Sinusitis is an inflammation of the sinuses. Infections or other triggers can cause it, such as allergies or a structural problem in your nose. When they are working optimally, your sinuses are hollow passages inside the nose that produce mucus. With sinusitis, the nose becomes swollen or inflamed, and this blocks the sinuses, causing pain, irritation, and other symptoms. Acute sinusitis is often triggered by a cold, while longer-lasting sinusitis might be due to a more severe problem. If you have acute sinusitis, it will usually resolve on its own without treatment. Since the condition is sometimes viral, antibiotics may or may not be the best course of treatment for you. Chronic sinusitis, however, can be a more difficult condition to resolve. If you do end up taking antibiotics for it, symptoms might take several days or weeks to disappear entirely. Your physician at Adult & Pediatric Ear, Nose & Throat can recommend the best course of treatment for your sinusitis, which may include antibiotics, corticosteroid nasal spray, and, in extreme cases, surgery to help restructure the nasal passages. If a fungal infection causes your sinusitis, your physician might also prescribe you an antifungal medication. What Results Can I Expect from the Treatment of Sinusitis? Treatment for sinusitis can be lengthy, especially if you have chronic sinus issues. However, the experts at Adult & Pediatric Ear, Nose & Throat can help resolve your symptoms in the most timely manner possible. Once you heal from your sinus issues, it’s important to be vigilant about monitoring your symptoms and your health moving forward. If you develop sinusitis symptoms, immediate treatment can reduce the chances that you’ll develop complications. To learn more about sinusitis treatment at Adult & Pediatric Ear, Nose & Throat, book an appointment online today using the easy scheduling system.